Read the positive reviews below. Vaccines elicit many questions from patients concerned about their safety and efficacy. Navigating the confusing and controversial information about vaccines often leads parents to seek the advice of naturopathic doctors to gain clarity and confidence when vaccinating their children. This webinar will provide participants with the most up-to-date information on CDC vaccination recommendations, as well as give clinicians the tools necessary to help parents make informed vaccination decisions and create personalized vaccination plans. Controversial vaccination ingredients and strategies for minimizing potential side effects will be discussed in addition to methods for optimizing immune response to vaccinations and naturopathic management of adverse reactions. Dr. Candace Aasan is Clinical Director of Cascade Natural Medicine who oversees a nationally accredited Pediatric Residency Program. 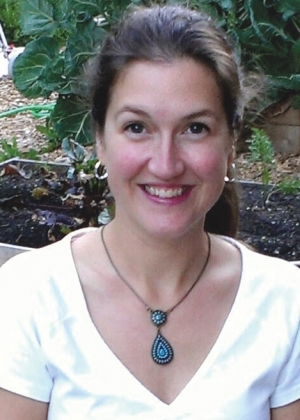 She serves as adjunct faculty at Bastyr University where she teaches Pediatrics and supervises naturopathic medical students as a clinical faculty at Bastyr Center for Natural Health. A founding board member of the Pediatric Association of Naturopathic Physicians, Dr. Aasan was recently named “Top Naturopathic Physician” in Seattle’s 425 Magazine. Dr. Aasan was excellent in all ways. Thank you! Dr. Assan gave a great presentation... she was very knowledgable...great insight! Excellent pros and cons to the complex decisions which surround vaccines. I liked her approach towards informing not influencing parents, and providing an unbiased and realistic standpoint. Great presentation. Looking forward to receiving the updated PowerPoint slides. Nice balance of clinical application and up-to-date peer-reviewed studies. Unclear now how to get response to question that wasn't asked before webinar time ended. Great seminar with terrific information to bring to practice immediately. I was impressed with her knowledge of the subject. It was better then I had anticipated. Informative and engaging from beginning to end. Very useful notes with current statistics.Thanks for yet another great Weinar. One of the best Webinar's that I have attended so far. Dr. Aasan is very knowledgeable about the topic and her presentation were very clear and concise. Provided great information to inform the concerned parents about vaccination and adverse effects. Really great! Dr. Aasan was well informed, comfortable with the topic, and a good speaker. I was engaged the entire time and took copious notes. Well done! Thank you for the very informative discussion on vaccine research and alternative schedules! Thanks a lot. Great topic for a webinar. This was a very relevant topic to present on. Much appreciated! Very clear, useful and organized presentation.